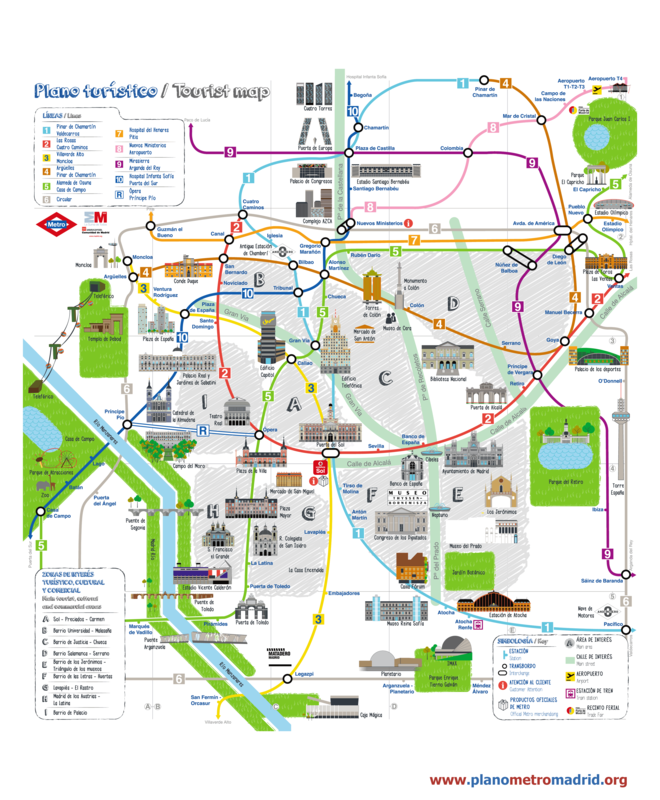 This is the tourist map of Madrid, which includes the top 50 tourists highlights in the city. It is organized so as to reach them through the network of public transport in Madrid, especially via the metro system. We have a PDF version of this tourist map of Madrid, in super high definition. On the website of TicketBar, you can buy tickets for all kinds of museums, shows, monuments, attractions, and more places in Madrid. In some things (few) you can save up to 20%. In most places, with these tickets you will not queue at the entrance (skip the line). Thank you very much for your visit, we hope that to our tourist map of Madrid has been helpful to you.